A familiar face in a supermarket tabloid stops Amelia in her tracks. Who could possibly want to murder the talented actor/producer, Danny DiNicco? And what does it all have to do with an elderly Adirondack hermit?A familiar face in a supermarket tabloid stops Amelia in her tracks. I based the story of Amelia noticing a familiar face in a tabloid from my own experience. I recognized an actor from when I had done summer stock theater and he, like Danny diNicco, had been murdered. 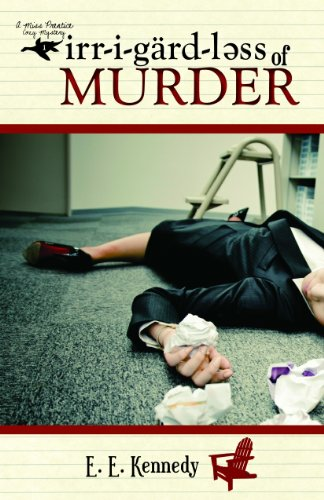 I decided to "solve" the murder in a fictional story. "I must confess, I’m a grammar Nazi. Not only that, I’m a former English teacher and a grammar Nazi, a dangerous combination. I loved Murder in the Past Tense! Not only does Amelia Prentice Dickensen solve two murders, but she does it without ever going to the crime scene! I also loved this book because Amelia spends a great deal of time reminiscing about her childhood and her one theatrical experience. Having grown up in the theatre, I was taken down memory lane with her. Amelia’s accurate theatrical memories give the reader a glimpse into her teen years.However, you don’t have to be either a grammar Nazi or a theatre buff to get caught up in this mystery. It grabs you on page one and never lets go until the last period. " --Vandi Clark, Actress, Stage, Screen and TV, in NBC's upcoming series "Salvation." "E.E. Kennedy does it again! 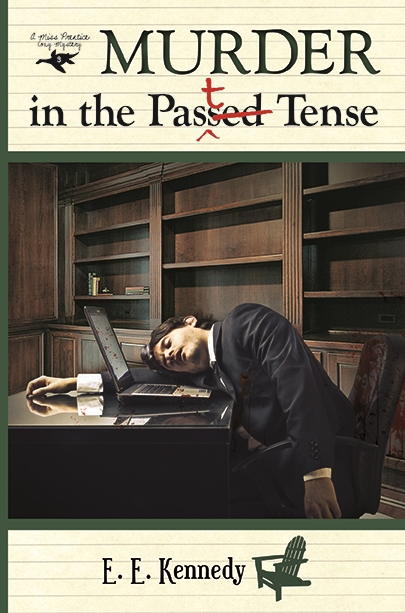 The third novel in her Amelia Prentice Cozy Mystery Series, Murder in the Past Tense, lives up to what we’ve come to expect and then some. Mystery, intrigue, and romance presented in a way that make readers feel like a part of the action. Amelia Prentice, now married and expecting her first child, glances at a supermarket tabloid and saw a face she recognizes, that of a high school “crush” murdered a year prior. The ensuing mystery had its beginning when Amelia was in high school. The reader gets to meet her as a teenager, desiring a career in the theatre and already an amateur sleuth. Just nosy enough to ferret out the clues, and innocent enough to get by with it. Parts of the novel are presented against the comforting background of Amelia’s childhood homestead—converted to a bed and breakfast. (Giving new meaning to the “cozy” in cozy mystery.) Between the charm of the B&B—Chez Prentice—and her warm and witty friends from prior novels, I hated to see the story come to an end. Here’s hoping Kennedy has more plans for Amelia in the near future." 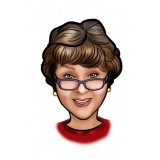 Lynne Wells Walding, Christian author of Handful of Demons and Devil's Digs.